On the weekend of the 4th & 5th February I went to Brussels to participate in FOSDEM, Free and Open Source Software Developer's European Meeting, for the 3rd time. FOSDEM is the biggest free and open source software conference in Europe and it is the one event I absolutely can’t miss ever since I moved here. It is difficult to describe it's atmosphere as it is overwhelmingly huge. The first thing to mention is that it is completely free. Not even a registration is necessary, that’s really unheard of nowadays. The event is held together by the incredible work of volunteers and it relies on sponsorships and donations from participants. The noncommercial nature of the event attracts people who believe in the true spirit of free and open source and great technical talks. Wonderfully, that means a lot of people. It is hosted in the Université Libre de Bruxelles and this year they were expecting about 8000 attendees and over 600 speakers in 55 tracks. Such a thing is possible because besides the main tracks, FOSDEM offers what they call developer rooms, which is what makes it so special. The developer rooms give communities the opportunity to meet in real life. They are submitted by community members months in advance and after being selected they are responsible for self organising and building their own track for half a day or a whole day of the event. It’s like many conferences are happening in a single place. This year, me and Pierre Chapuis, were responsible for the Lua devroom at FOSDEM. I’m a huge Lua fan. Lua is an extremely well-crafted programming language. It’s very popular in the gaming industry, the IoT world and, more recently, machine learning, because it’s super simple and quite fast. This is the 3rd time the Lua community is able to gather at FOSDEM. The first year we impulsively booked a ‘Bird of a Feather’ space, which is a room for discussing a subject for an hour with your community. We were surprised by the big attendance and the discussion was great, so Hisham Muhammad and Pierre Chapuis applied for a full devroom for the following year, which was also a success. The talks in our room covered a large range of topics, from compiler technology to web libraries. You can watch them all here but I had a favorite. Eclipse OMR is a reusable toolkit for Just-In-Time compiler technology from IBM. The goal is to have a project that you are able to plug into your runtime, without building a separate VM, and keep the community the same. 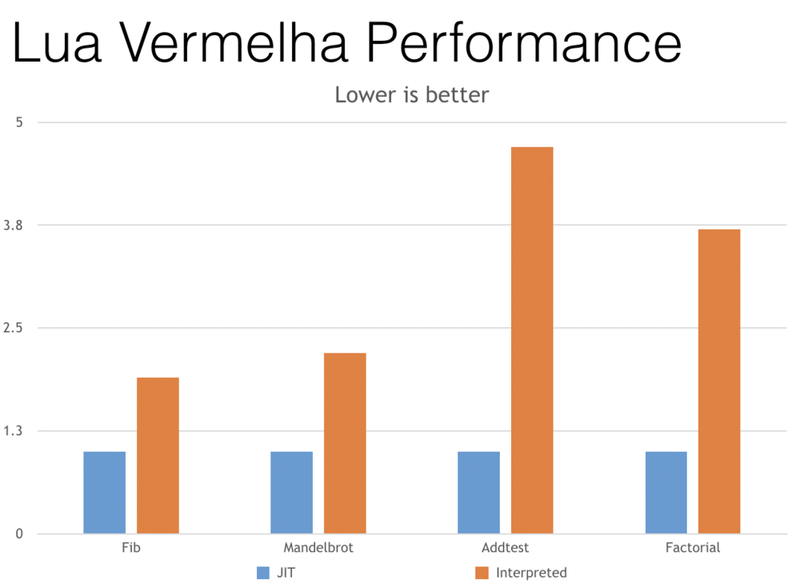 With the intent to showcase their JitBuilder, they created a new JIT implementation of Lua called Lua Vermelha. It’s based on the vanilla Lua 5.3 interpreter, which is fantastic, considering that LuaJIT is somewhat locked on 5.1. It’s early work and currently in intense development, but there are already significant performance gains over vanilla Lua. It shows a lot of promise and I’m super excited to see what comes next. You can watch the whole talk here. I didn't just go to FOSDEM to organise a room, though. I also gave a talk! I had no experience with IoT whatsoever until a friend of mine from Mozilla, István Szmozsánszky (Flaki), gave me an ESP8266 with NodeMCU as a gift. NodeMCU is a firmware that allows to run Lua on the ESP8266 microcontroller. This microcontroller is an Arduino-compatible very low cost board ($3-10) that comes with built-in Wi-Fi. "If my Software Engineer career fails, I'll become an anonymous hand model instead"
For only a fraction of the price of the Arduino, it is way more powerful, and it rapidly spread through the makers community. Ever since I got my hands on one, I wanted to do something with it. I ended up modifying my graduation dress to include blinking neopixels and a microphone to make it blink with the music, controlled by my pebble watch. It was a tremendous success and not very difficult to build at all. I realised that despite having to go on a weird spiral of websites in Russian and Chinese to download drivers and IDEs, the entry-barrier was actually quite low. 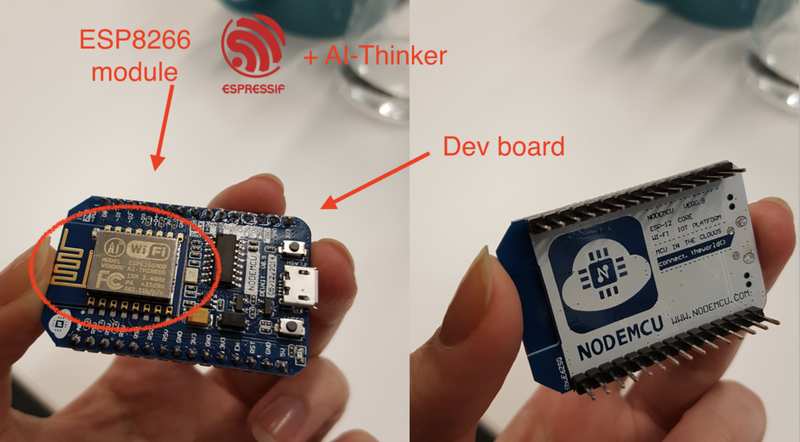 And this is what I shared during my talk, hopefully it will inspire beginners to tackle their first wearable project using the ESP8266 and Lua. You can watch it here. During the rest of the event I spent some time at the Ruby room where by accident I watched another talk on Eclipse ORM, but with Ruby instead. I also visited the decentralised internet room where are I learned that French folks have DIY ISPs (!!!). But FOSDEM was mostly not about talks, but about communities, and I spent a long time chatting with fellow Lua-ers not only during the event but also at the pre-party at Delirium Café, during our Lua gathering at the Brewdog Pub on Saturday and later eating some Moules-frites, a must-try local dish for sea-food lovers. I’m a firm believer that community events are essential not only to spread the word on things but also to get people excited and get projects started. I can’t wait to see what kinds of interesting projects will pop up a few months from now after the exchanges during FOSDEM! Want to know more about Lua? You can follow @LuaLang on twitter to stay tuned on our next events, such as LuaConf in Rio on the 3rd of June.